Hispanic Floridians are people identifying or identified as Hispanic or Latino/a sampled in the state of Florida. As of 2010, Hispanics accounted for 16.3% of the U.S. population, or around 50.5 million people. The projected Hispanic population of the United States for July 1, 2050 is 132.8 million people, or 30.2% of the nation’s total projected population on that date. 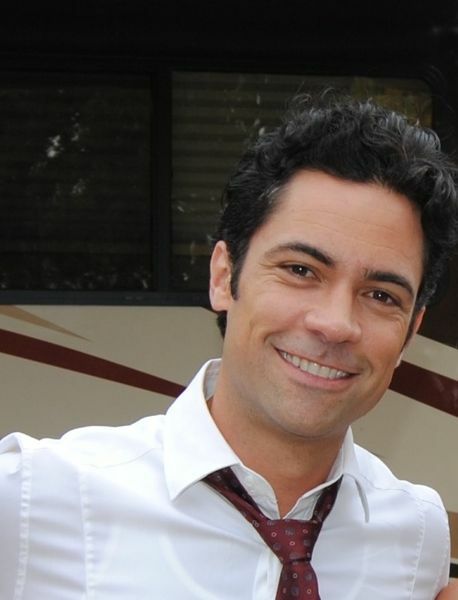 Law and Order TV star Danny Pino is from Miami. The Hispanic – Florida population data represent DNA samples from 120 Hispanic (Hispanic-American) individuals in the state of Florida (Pewhispanic). Samples were provided by the Florida Department of Law Enforcement, the Metro-Dade Police Department, the Miami Children’s Research Institute, and the Palm Beach County (Fla.) Sheriff’s Office. The Hispanic – Florida population data represent DNA samples from 100 Hispanic (Hispanic-American) individuals in the state of Florida (Pewhispanic). Samples were provided by the Palm Beach County (Fla.) Sheriff’s Office. Photo: Actor Danny Pino taking a break from filming Law & Order: Special Victims Unit at 155th and Broadway/Amsterdam in New York City. Date 25 July 2011. Source Flickr. Author Shannon (SMPhotography). Source publication: CODIS STR Loci Data from 41 Sample Populations, J Forensic Sci, 2001, 46(3), 453-489. Allele Frequencies for Fourteen STR Loci of the PowerPlex 1.1 and 2.1 Multiplex Systems and Penta D Locus In Caucasians, African-Americans, Hispanics, and Other Populations of the United States of America and Brazil, Levedakou et.al, JFS, 2001, 46(3) 736-761.